Gorderland Art. We are standing on the street outside the Nobel Museum awaiting the Laureate’s imminent arrival. Naturally, we are all somewhat nervous as we prepare to meet him. Just then, the phone rings and we learn that he has been delayed. We pace up and down and peer somewhat apprehensively towards Slottsbacken. Will he make it in time? 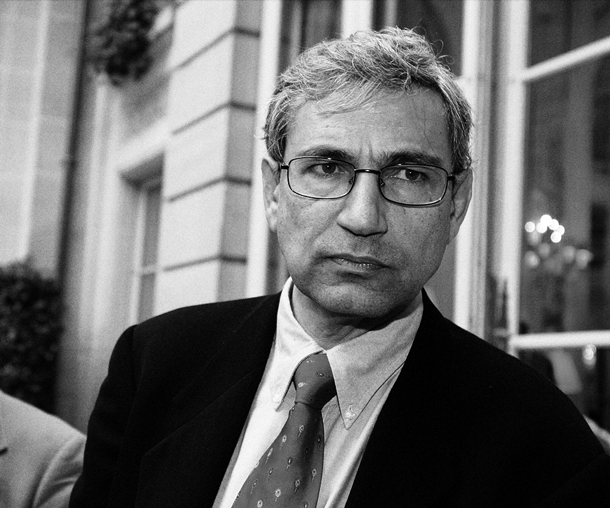 And it is, as on many previous occasions, a man we await: Orhan Pamuk. A long queue has already formed in Stortorget Square; expectant book-lovers waiting to have their editions signed. Our aim is to have 40 other books signed before the grand signing takes place. At last, Pamuk arrives. Smiling, he steps out of the limousine together with his daughter. We walk quickly into the museum and up to the Museum Director’s office. 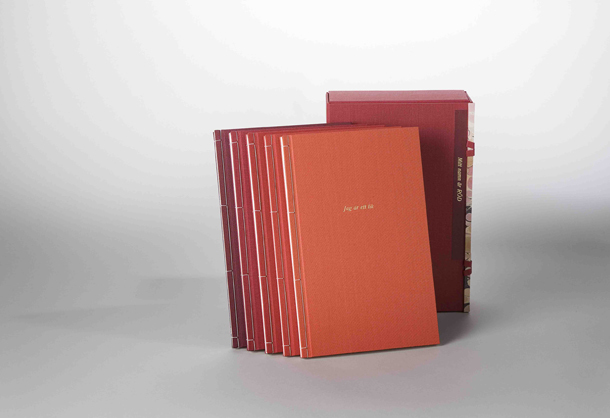 Pamuk sits down at a desk and we quickly organise the most efficient book-signing ever to be undertaken: one person opens the books, another hands them to Pamuk for signing and a third takes care of the newly signed editions. A cup of tea is made for the Nobel Laureate, who has been assigned star-status for the duration of his short stay in Stockholm. He is friendly, but somewhat stressed by all the attention. Pamuk is no great conversationalist; his preferred form of expression is the written word. 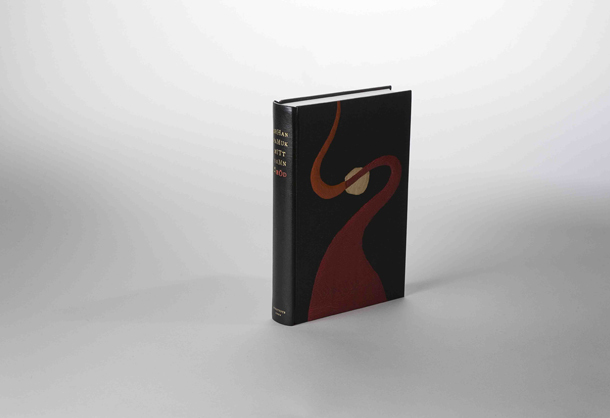 We have chosen the book entitled My Name is Red, a story characterised by murder and passion and set in the Ottoman Empire at the close of the 16th century. The main character is a miniaturist who serves at the court of Sultan Murad III in Istanbul and who works with books. At the secret behest of the Sultan, this miniaturist attempts to flaunt artistic boundaries and challenge prevailing religious conventions. Ultimately, his audacity costs him his life. This is a story that could just as easily be about the Literature Laureate himself. Pamuk has tested the boundaries in his homeland of Turkey and, in doing so, has aroused the ire of some and the admiration of many. His point of departure, both geographically and intellectually, is the melting pot that is the city of Istanbul. East meets West, Islam meets Christianity. Pamuk ”…has discovered new symbols for the clash and interlacing of cultures,” as the explanation of his selection as Nobel Laureate reads. 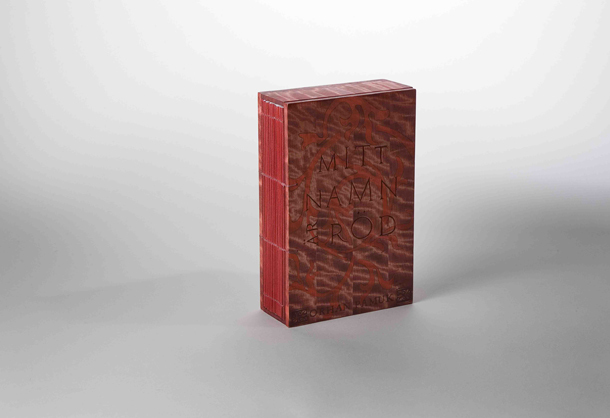 Sweden’s bookbinders have been issued a challenge. 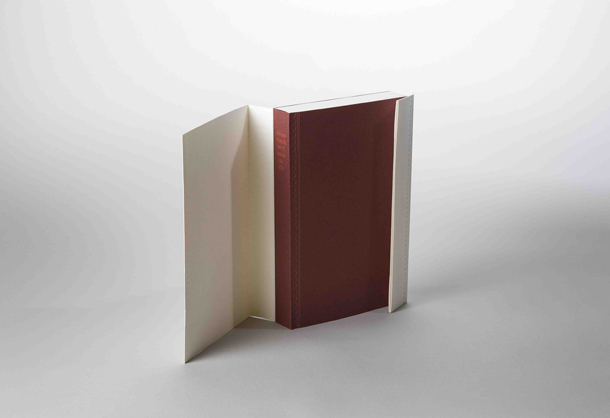 Now, their artistic portrayal of the physical boundaries of the paper used to print the story will capture the tale about the limitations of the bookmaking art found in the book. It’s a challenge of such enormous proportions that I would scarcely dare to attempt it myself. During the Renaissance, book production in Western Europe exploded. Gutenberg had invented a printing press with moveable type and suddenly, the age of copying by hand and small printing runs was relegated to history. Among the countries quick to adopt this new technique was Italy. Publishers and bookmakers like Aldus Manutius did a roaring trade. 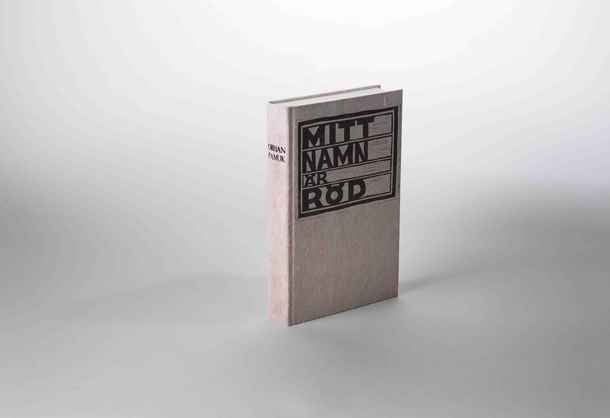 The increased production of printed material placed new demands on bookbinders, and not only with regard to technique and function. 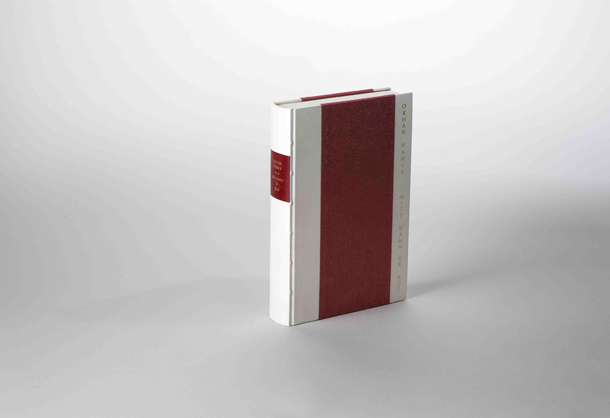 The bound volume’s aesthetic qualities also came under the spotlight. The heavy, blind-stamped volumes of the Mediaeval and Gothic styles were replaced by brilliant gilding and intricate leatherwork. From where did these innovations come? The answer lies in the close contacts between Western Europe and Constantinople. The importation to the West of craftsmen such as gilders, illuminators and miniaturists became increasingly common. These craftsmen brought with them techniques and materials developed by Eastern manual bookbinders for centuries. 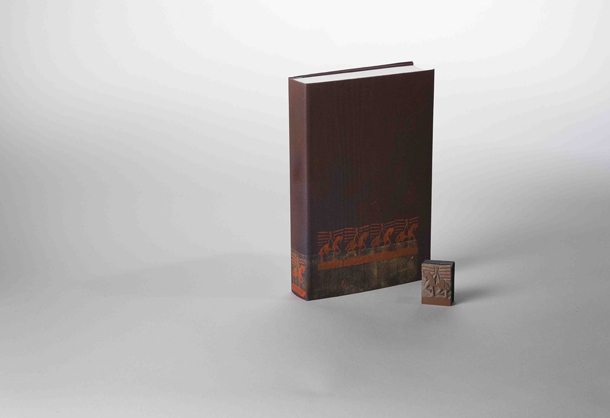 The 16th century was also the zenith of Ottoman bookbinding. 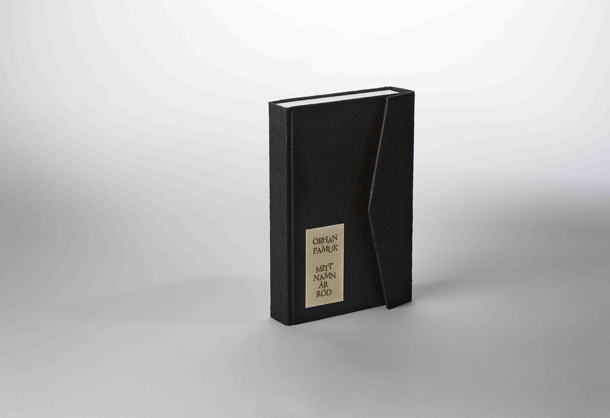 For these reasons, it is especially exciting to be able to bind inserts that touch on this subject. 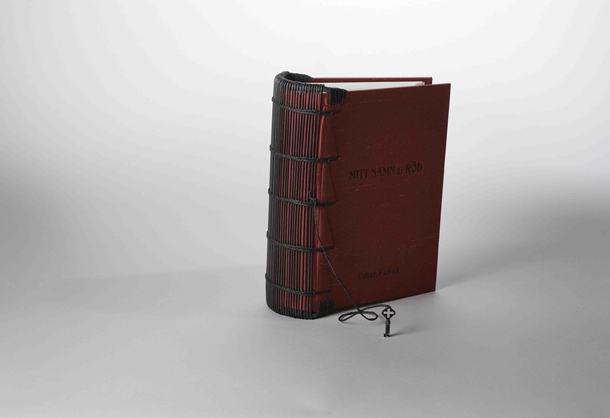 All 16 bookbinder’s participating in this exhibition have bound copies of Orhan Pamuk’s My Name is Red. Within the framework of an historical detective story, the book’s characters live their lives amidst the everyday work of the miniature painting and book production. 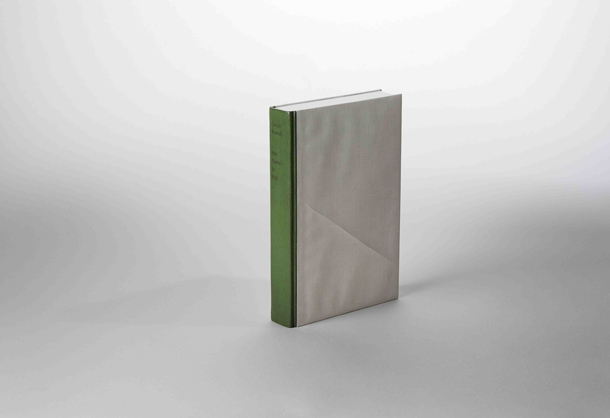 Pamuk’s work is also said to be a book about ideas. 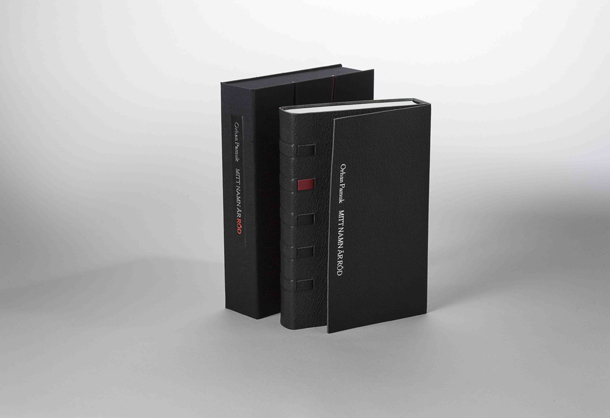 Fittingly, ideas are also reflected in the different ways that the 16 binders have chosen to produce their respective volumes. 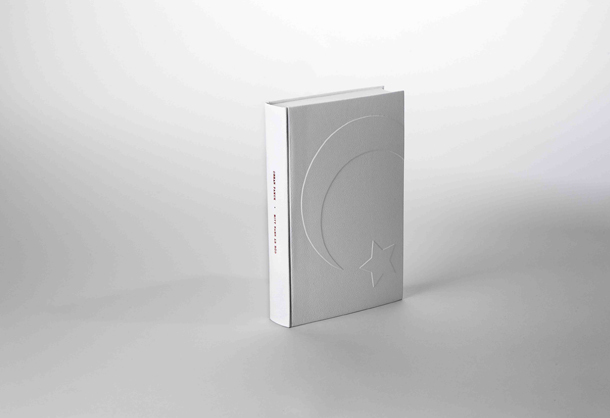 The basic material for each binder was the same: the newly-printed publisher’s binding that Norstedts quickly produced as soon as it was announced that Orhan Pamuk was awarded the 2006 Nobel Prize in Literature. 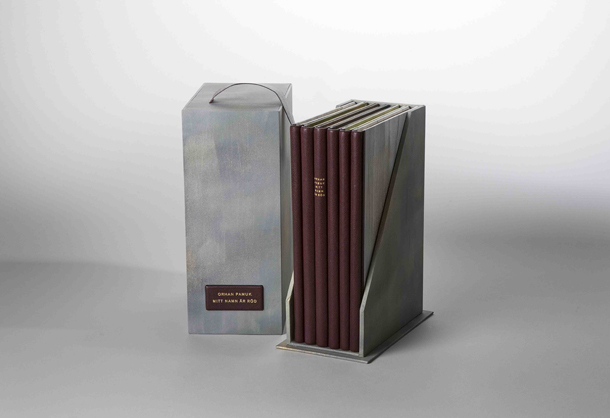 As such, these binders have worked to re-bind a book block with an already-cut spine. Though this is not always an ideal situation for a bookbinder, such circumstances also give rise to creativity and ingenuity. Each of the 16 binders has chosen their own way of tackling the problem. 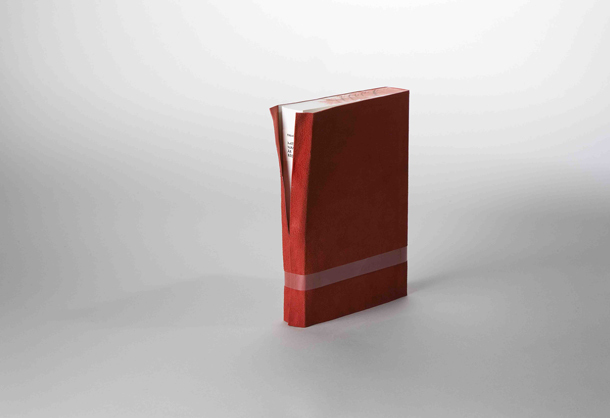 The volumes’ form, colours and expressions are left to be judged by their viewers.